High school is a time to explore and discover yourself. Most teens would travel and look for ways to fulfil their curiosity. Volunteering abroad is a great way to do that. While helping others, students can also explore the country’s culture and meet new people. Most high school students would use their summer break or spring break in school to travel or spend time volunteering abroad. These volunteer programs can last from 2 weeks to 2 months, depending on the location. Some programs would also have age restrictions when it comes to accepting volunteers, so it’s best if you do it in your junior year before graduation. Want to know more information on how high school students can volunteer abroad? Read our guide below on how high school students can volunteer abroad. What are the popular volunteer destinations for high school students? The most popular destinations for high school students to volunteer abroad vary in terms of the program. Safety is a major concern among parents of teens who are willing to send their kids to volunteer abroad. Here are the top, safe destinations for volunteering abroad. Here are the top, safe destinations for volunteering abroad. What are the types of volunteer programs for high school students? Settled with your destination of choice? You can now move on to the most difficult decision – which type of volunteer program will you join? 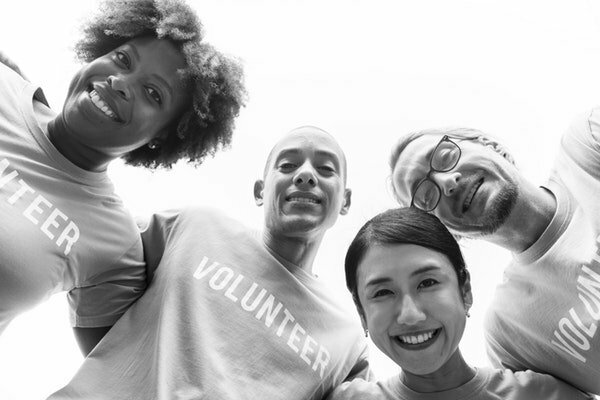 You need to consider a lot of things such as the number of hours, location, and other benefits you might get as a volunteer. Here are some common types of volunteer programs for high school students. Group Programs: Group programs are the most popular type of volunteer options for high school students. This usually takes up to 2 months. Some programs also offer trips during spring break and winter break, with paid accommodation, airfare, and other benefits. Individual Programs: If you opt for individual programs, there are a few who also accept applicants less than 18 years of age. Conservation: Most countries have great initiatives for conserving the environment to help a safe and clean environment. Education: Volunteers can also have the opportunity to teach English. You will have both children and adults as students. Construction: Expect to paint some walls of a local building or school and help build a community centre. Community Development: You can create some programs for the youth or community. While some programs are paid, there are also free volunteer programs for high school students. These programs are not only free but also guarantee volunteer’s safety and amazing experience. Student Exchange Programs: Student exchange programs can give high school students the opportunity to immerse themselves in another culture. It usually takes around 2 months and is one of the best options to volunteer abroad for free, especially to young students. Experiment in International Living: They offer summer programs for high school students with options to volunteer in Africa, Asia and Latin America. They require a registration fee but most of the cost of the trip is covered by the company. Conserving Sea Turtles: You will find a lot of projects which deal with conserving Sea Turtles. There may be a fee involved and are always on the lookout for volunteers. World Wide Opportunities on Organic Farms: It is another great option if you want an extended travel time. Volunteers will usually work on a farm with free accommodation. This is available across 53 countries in the world. BirthRight Israel: Want a free, 10-day trip to Israel? This volunteer program is offered to Jewish students, aged 18-25 years old. They will cover volunteers’ round-trip airfare, accommodations, and meals. Help X: Help X is looking for volunteers who can spend time in exchange for accommodation. Volunteers are expected to work for up to 40 days a week. There are too many options for high school students to volunteer abroad. The best way to start is to plan it as early as possible. You can start planning it during your freshman year and start saving money. Previous articleAre Law Grads Headed Toward a Dead-End Profession?